Our mission is to prepare the Wiregrass community for the future and provide long term security for our State Farm customers. We focus on Auto Insurance, Homeowners Insurance, Renter's Insurance, Life Insurance and Business Insurance throughout the Dothan, AL area including Ashford, Cottonwood, Rehobeth, Webb, Columbia, and Slocomb. 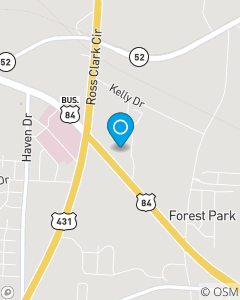 Our vision is to be the best provider of insurance and financial services in the Wiregrass area.